Proverbs 18:21 The power of life and death is in the tongue! Your future is literally being created by the words you speak out of your mouth. 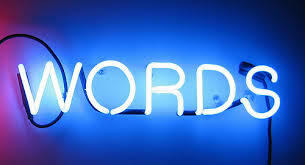 There’s a direct correlation between the words you speak and the life you live. Consider your words carefully for by your words you will be justified and by your words you’ll be condemned. You can literally talk yourself into a feeling or circumstance and directly out of them as well. If you’re not happy with where you find yourself in life, consider changing your words. Out of the abundance of the heart the mouth speaks. Whatever the theme of your heart is, that will be reflected in the words of your mouth. There is creative power in our mouths and we need to steward it accordingly. 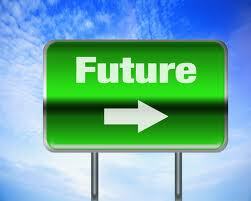 5 cultural trends that will define the FUTURE! Speed – Life is getting quicker and quicker and it’s only going to increase in momentum. The blinding rate of change will touch every aspect of your life. Complexity – Life is becoming increasingly complex and multi-dimensional. The complexity of life will impact every sphere of society including your personal life. Risk – As much as we seek safety and security, life in the future will involve greater risk. We will all be exposed to new risk and higher risks. Change – If you don’t adapt quickly to an ever-changing environment you will simply be overwhelmed by the force of change. You need to embrace flexibility. Surprise – Life is full of surprises and they will come almost daily in the future. Your sense of logic and process will be interrupted by sudden-lies. How do we respond to the interplay of these challenging dynamics in our lives? I think it’s so important to be informed and forewarned. To be forewarned is to be forearmed. If you know something is coming your way, you can better anticipate it and prepare for it. I think it’s important that we place our faith in what will stand strong in the midst of the cultural upheaval that is happening around us. Jesus said, ‘In this world you will have tribulation but take heart I have overcome the world.’ Faith in Jesus is going to be an even bigger issue in the future as cultural super-shifts test our anxiety levels and undermine our shallow values. The future is fast approaching and the church needs to be prepared for it. A new wineskin is needed for the new wine that God wants to pour through the church to meet the needs that will surface as a result of the massive forces that will shape our world.